All of us had a 3-4 hr sleep after a spectacular Northern Lights experience and got up early in the morning to catch the 8am flight to Alta, our last stop of the trip. We had our early breakfast, cleaned the apartment, and loaded our luggage in the Jeep. The drive to the airport took 15 minutes. We dropped the girls, unloaded the luggage and Dash and I refueled the rental car and dropped it off at the Europcar parking lot. We then realized that there was nobody at the Widerøe airline check-in counters and that we had to print the baggage tags, scan them and drop the bags on the conveyor belt ourselves. We then went though security and got to the gate by 715. The flight time to Alta, 105 miles away from Tromsø as the crow flies, was about 35 minutes. 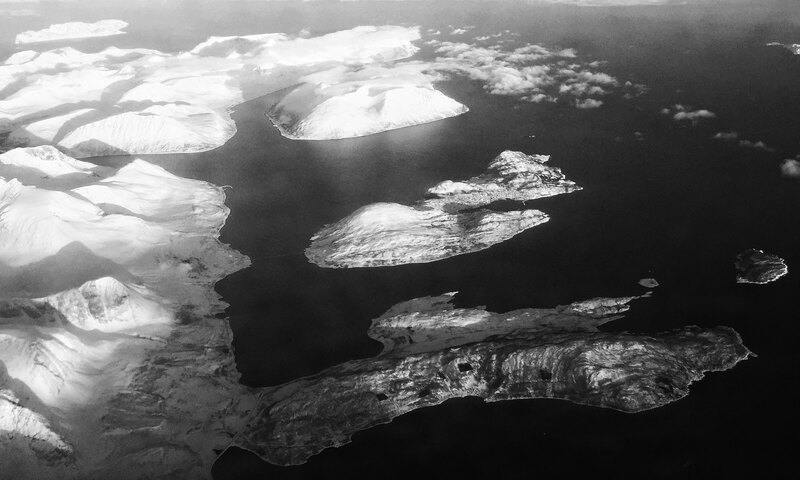 The views of the fjords and islands below were majestic. We grabbed our checked in luggage and called the Budget Car Rental manager who brought a VW Passat station wagon. 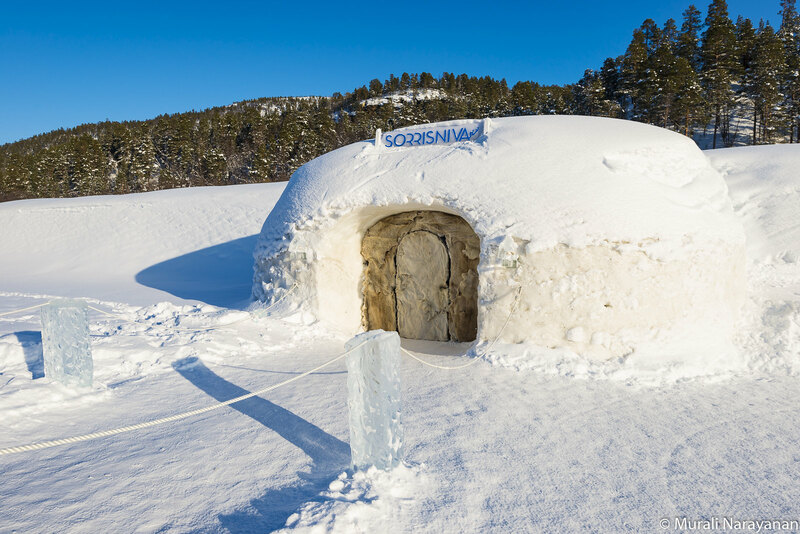 We had reservations at the famous Sorrisniva Igloo Hotel but checkin time was 2pm, a good 5 hrs away. 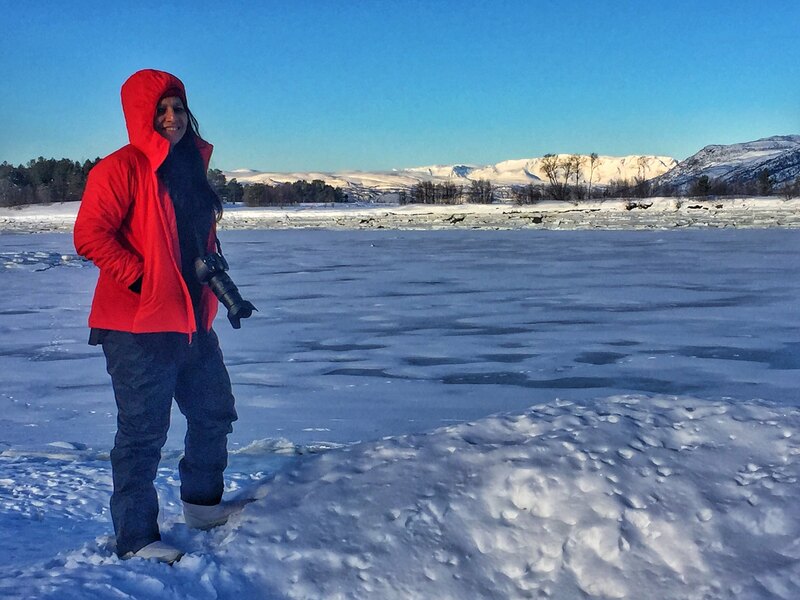 We decided to drive north along the Altafjorden towards Russeluft, about 20 km away. It was sunny but windy and the temperature was in the mid 20s. We stopped at a few spots to enjoy the bitter cold and the scenery around Altafjorden. Around noon, we decided to turn around and go to the Alta Museum. Just before we reached the museum, Revathy realized that she didn’t have her iphone6 with her. A mini panic set in. We drove back the whole route and checking if the phone was dropped at all the spots we are stopped till then. One of search yielded zilch. When we were all ready to give up, Dash decided to check every nook and corner of the car. Yes, he located the phone stuck inside tiny crevice between the 2 seats in the back. 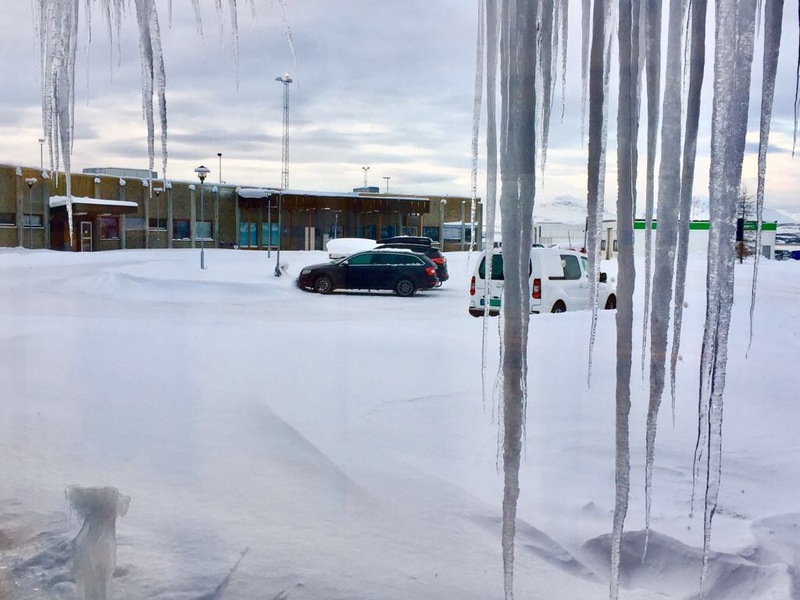 After a short celebration, we decide to skip the museum and drive straight to the Sorrisniva Igloo Hotel, about 12 miles south of the Alta airport. 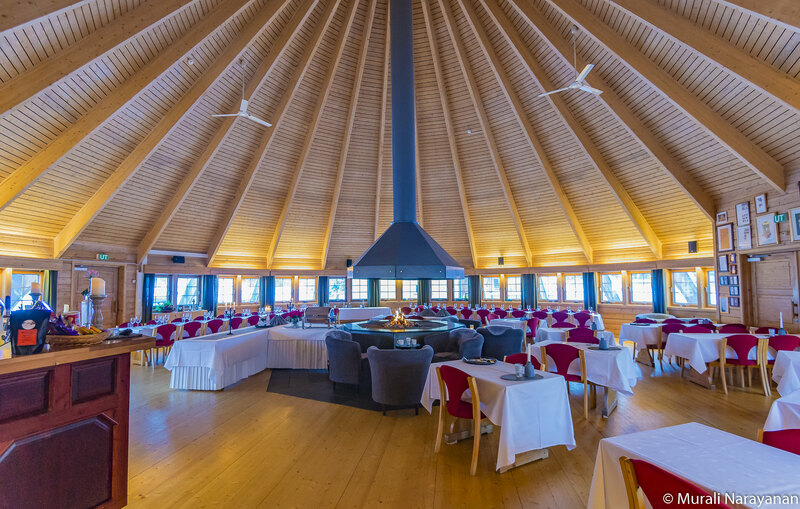 Sorrisniva Igloo Hotel has been rebuilt yearly since 1999. They build the 27,000 sq ft hotel in Nov-Dec each year and everything melts away in April. 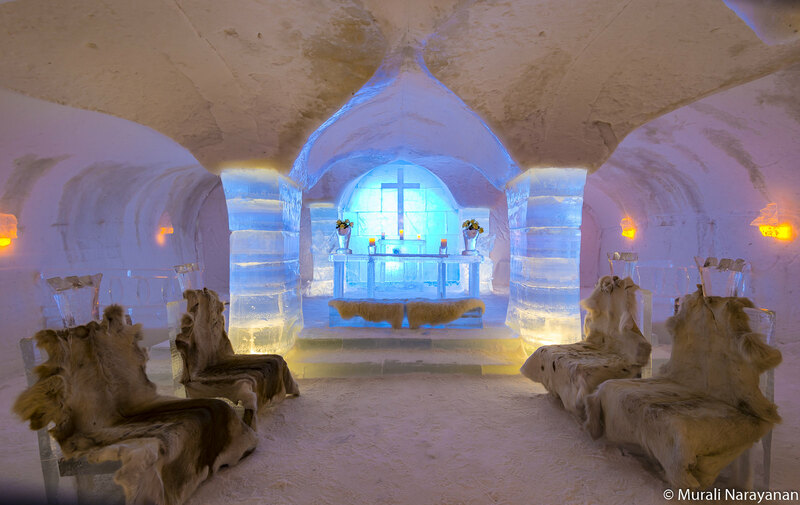 It has 26 snow bedrooms, 4 decorated suites, an ice bar, and an ice chapel. 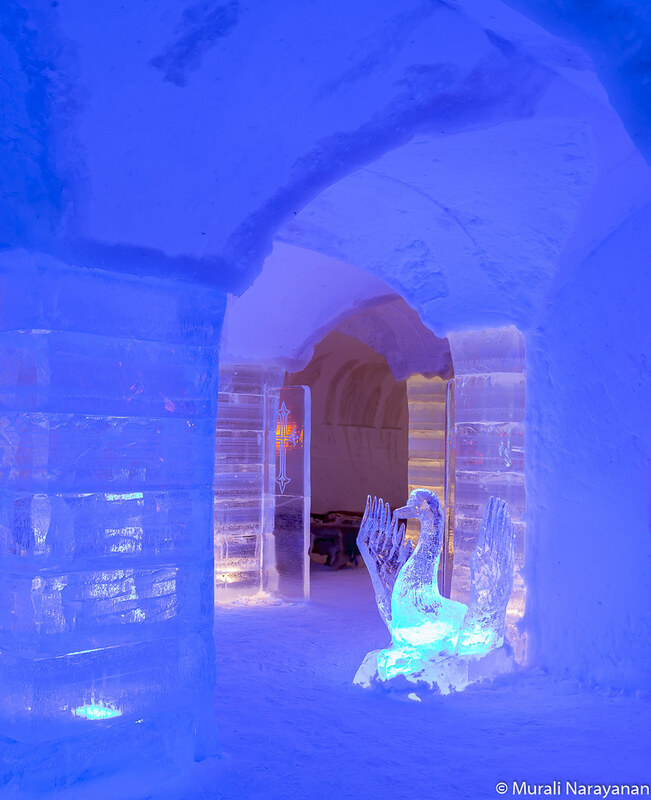 It is decorated with ice sculptures and ice furnishings, including lighting systems which enhance the different types of crystalline formations. Drinks at the bar are served in glasses made of, yes you guessed it, ice. 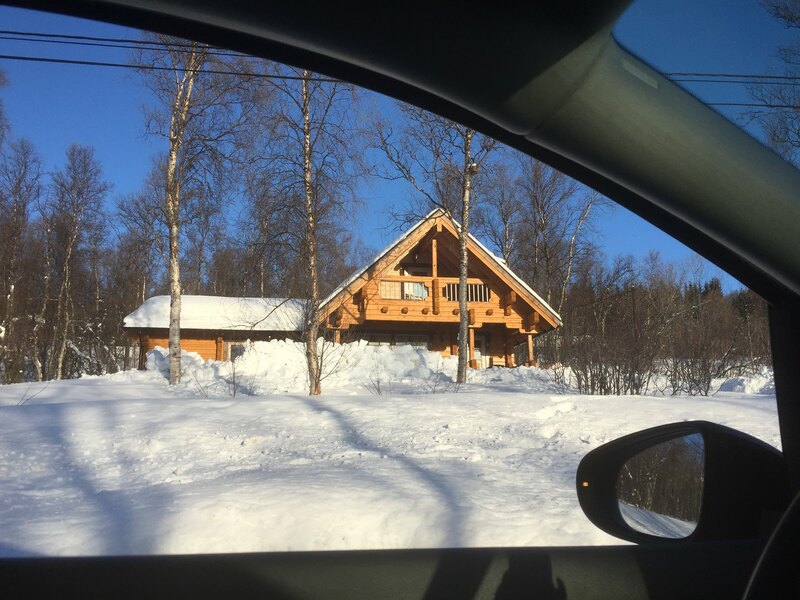 The inside temperature is at a constant 24 deg F (about -5 deg C) and guests sleep in superb sleeping bags on top of reindeer hides. 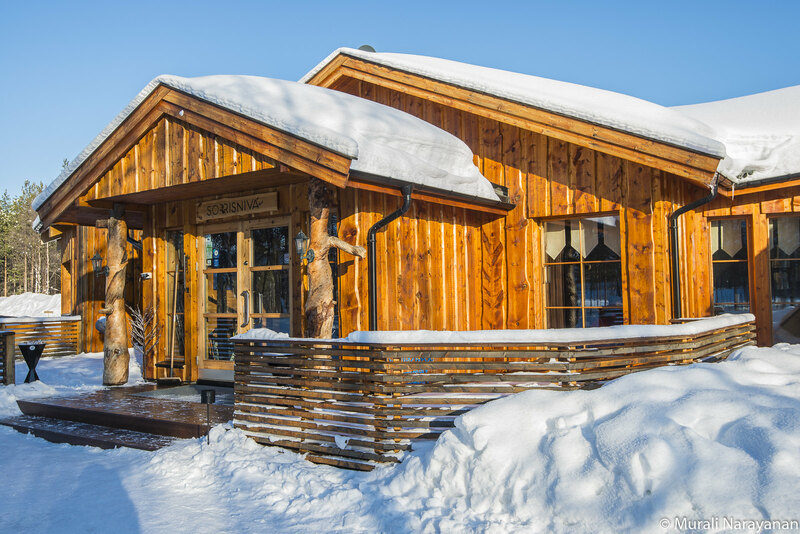 The theme of the hotel changes every year and this year the theme was about animals of the Finnmark region. In addition to the Igloo hotel, the small complex has 2 other buildings. One has a large dining area that serves breakfast, lunch, and dinner, a living room, a storage room to store your luggage, bathrooms and toilets. 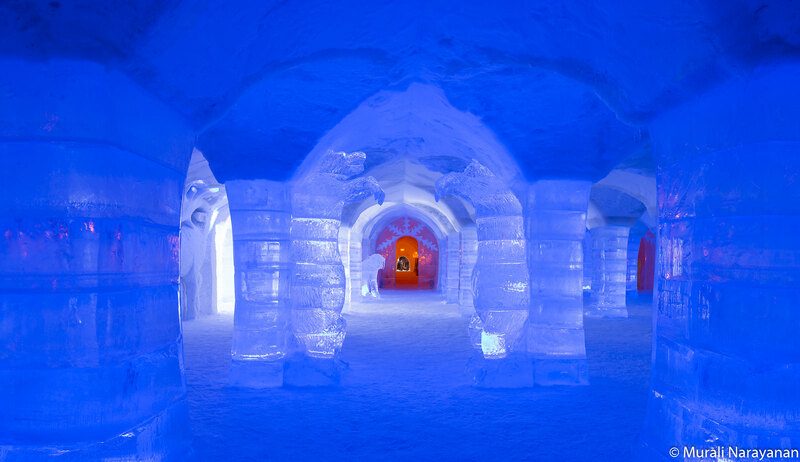 There are no bathrooms or toilets in the Igloo Hotel itself. The other building has a kitchen, storage area, etc. We checked in at 2pm and got a tour of the complex with instructions on how to get dressed to sleep in the Igloo hotel. We ate lunch in the Living Room. 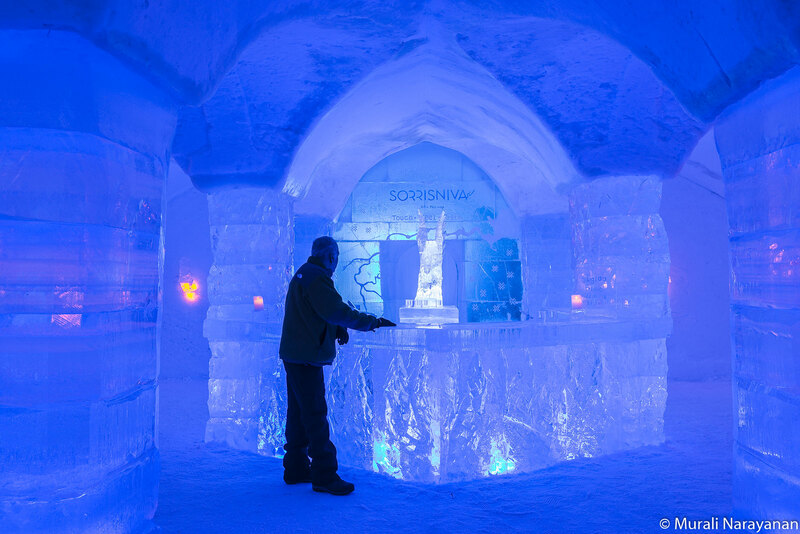 The igloo hotel is also open to other visitors who come just to tour the igloo hotel. I shot a few images inside the Igloo Hotel. We had reserved dinner for 730pm but decided to have it at 6 instead. It was fixed menu and they prepared a terrific vegetarian one for us. 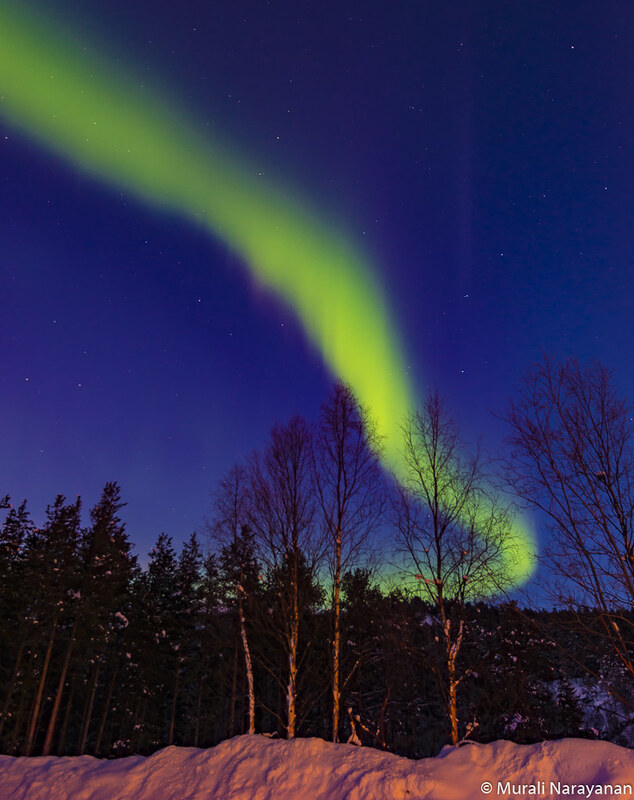 During dinner, somebody mentioned that the Northern Lights was visible and we rushed out to capture a few pictures. We came back inside to finish the dinner. After dinner, we spent some time in the living room chatting with others. We then stored valuables like passports, wallets, etc in a safe box, picked up our sleeping bags and went to our suites. I felt very warm and removed a layer of clothes and went to sleep. Although it was quite cold at 24 deg F, the sleep was quite comfortable.